Invercargill has a housing crisis too! Last month I helped organise a housing forum in Invercargill as a member of the Invercargill Social Housing Action committee. My role was to try and organise representatives of the government agencies, that had responsibilities for social housing, to attend and to obtain the latest data on social housing in the city. This turned out to be a difficult task as there are no publicly available telephone numbers for the local managers (both of whom are based in Dunedin). I tried ringing Housing New Zealand's 0800 number and after a couple of attempts (waiting 5-10 minutes and being told all lines were busy through high demand) I realised that instant service is not a feature of the 'corporation'. I resorted to trying a back door method by ringing a number that was well promoted on the site for the public to use if they suspected state housing fraud (or dob in a tenant). I got an instant response, but this service had been contracted out and had no direct link to HNZ. An email link did get a helpful reply from the HNZ area manager, Kate Milton, who described services the corporation provided and shared details regarding local housing stock. She was initially enthusiastic about driving from Dunedin to attend our meeting, but later decided against it. Milton explained that HNZ had largely become a property manager and the responsibility of managing waiting lists and determining housing needs and income related rents was the role of the Ministry for Social Development. My emails to the MSD area manager remain unanswered. There is some MSD data on housing waiting lists available online, the most recent last month being March, and it showed that 14 individuals or families were on the priority waiting lists (June data is now available and the number is now 13). HNZ currently manages 373 properties in Invercargill (363 HNZ properties and 10 Community Group Houses). The Government's attempt to sell up to 350 of the state houses has appeared to have failed with no buyers at this point. 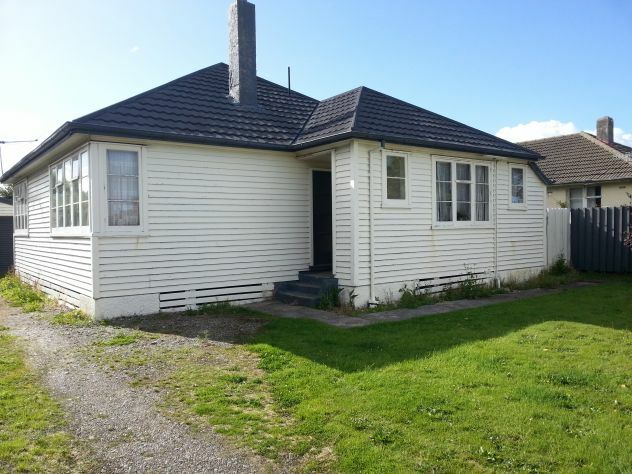 7 Invercargill state houses (including 1 CGH) are currently up for private sale. Interestingly in 1992 the Southland region had around 800 state houses, according to a past employee. Based on the Government's own data one could conclude that there is not a great need for social housing in Invercargill. A waiting list of 13 seems relatively minimal and the number of state houses in the region appears to have dropped by 50%, presumably because of decreasing demand. Our housing forum drew a different picture based on locally generated data and the presentations of those at the frontline of housing support in the city. We managed to bring together a number of organisations and individuals with an interest in social housing, including: State housing tenants, the Salvation Army, Breathing Space Trust, Habitat for Humanity, Family Works, Grey Power, Te Runanga o Ngai Tahu, Citizens Advice Bureau, National Council of Women, South Alive, Public Health South, Southland Warm Homes Trust, Southland Beneficiaries and Community Rights Centre, Awarua Synergy, Invercargill City Council and representatives from the Green, Labour and National Parties. The Invercargill Women's Refuge and Budget Advisory Service could not attend but sent messages of support. In the 2006 census there were 330 severely housing deprived people in Southland and the Salvation Army estimate at least 400 are in that situation currently. No new state houses have been built in Invercargill since 1992 and the average age of state houses across the country is around 45 years. Many of Invercargill's state houses appear to be be in need of maintenance and the schedules used 20-30 years ago for ensuring ongoing maintenance appears to have been abandoned. Bill English has admitted that there is $1.5 billion worth of deferred work needed to be done across the country. While some state house tenants were happy with the quality of their home others shared stories of damp conditions, poor maintenance, and workman arriving unannounced and without identification. Those who got into a state house felt privileged, despite the condition of many houses, as the process to get into one was protracted (for some demeaning) and often taking several months. Many are not successful. There was some anxiety expressed around the future of their state houses and their security of tenure. State housing tenants' rents increased with income and consequently the financial benefits of increased work were often minimal. The Breathing Space Trust had 101 emergency housing inquiries in the year to date and had provided 201 bed nights for those in desperate need. The Trust struggled with providing 24 hour staffing and appropriately separating different genders and vulnerable families. There was a severe shortage of accommodation for single people with mental health issues (the DHB is cutting funding for supported housing in the region), chronic health conditions and former prisoners. Local social housing providers voiced concerns that they didn't have the expertise or financial support to deal with clients with complex needs and this was one of the reasons they didn't want to engage with the government's attempt to privatise the state housing. There are few rental properties available for families for less than $200 per week. Many families in Invercargill are struggling on low incomes that make meeting the costs of rent and heating the poorly insulated homes difficult. According to the the 2013 census 46.6% of those of working age in Invercargill earned less than $20,000 (only 14% earned more than $50,000). While housing may be cheaper in Invercargill than further north our incomes are lower and heating costs are greater. Private landlords and Real Estate Agents generally avoid those with poor credit histories, bad references (no matter how historic) and prior dealings with the tenancy tribunal. An agent for a local real estate company said they turned away a lot of people and had no idea where they would eventually find a house because they would not fit HNZ criteria. There is a shortage of good quality rental properties for students shifting to Invercargill to study. The Invercargill City Council also owned social housing and had 215 units (34 studio and 180 1 BR units). These were rented out to those over 65 years on low incomes at $85-$106 a week. The Council's housing had a 95% occupancy rate with a waiting list of 32. 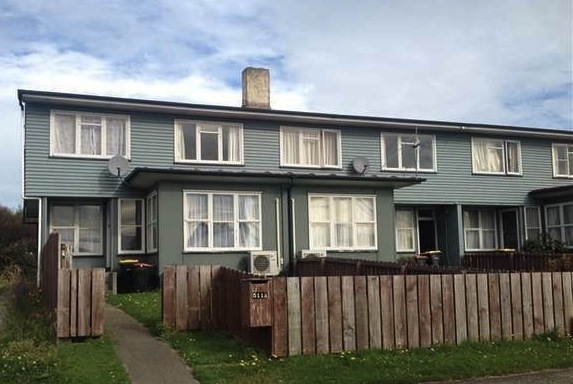 The social housing currently operated in a cost neutral manner but many will need substantial and costly upgrading that will draw on ratepayer funds. Whether the ICC should own and manage social housing is a debatable issue for some ratepayers. 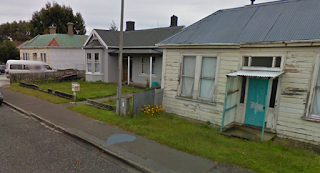 Although there is no data on the numbers of substandard housing in Invercargill, a drive around many streets in the south of the city will reveal many 70-100 year old houses that are occupied but clearly in need of repair. There are some new lower cost homes being built. A local community nurse told me that substandard housing was a major contributing factor for poor health in children. Those who attended the forum felt it would be very worthwhile to continue to meet to share knowledge and support each other in our work. ICC Councillors Neil Boniface and Becs Amundsen thought that the Council should take a leadership role in facilitating future meetings and I supported this. The Southland Regional Development Strategy supports the growth of Invercargill's population through welcoming migrants and promoting our tertiary education opportunities. To attract and retain people in our city we will need to increase the quantity and quality of our housing, this will mean doing what we can at a local level to support the housing deprived. Lifting incomes of low waged earners will help many and that means local businesses paying their employees livable wages and providing greater job security. It will also mean putting pressure on the Government to lift their level of support for social housing and those who are unlikely to find a good home in the private market. It is clear that too many are falling between the gaps. Invercargill has a housing crisis too.